Being able to hire and work with people from across the globe is one of the biggest competitive advantages of using a remote workforce. There is a huge amount of talented people to hire this way, however managing remote teams can certainly have its pitfalls as well, from inconsistent productivity and trouble finding long-term workers to simply having no idea what each of your team members is up to at any given stage of a project. The three key factors to a successful remote team are your hiring process, the way you communicate with your team, and the systems you put in place to optimize productivity. Effective communication is your best tool to maintain a motivated and productive team. The most important aspect of communicating with a remote team is compensating for the lack of face-to-face interactions. This can lead to a lack of communication and collaboration between team members, so it is vital to creating opportunities like team meetings for your workers to interact with each other. A daily 5-10 minute meeting within each team helps keep everyone on track and actually feel like they are part of a time and not working in isolation. A brief weekly company meeting to keep people updated on the bigger picture serves the same purpose. To avoid getting bogged down in details and minor issues, handle all of these in a weekly team meeting to reduce the amount of time spent on these during the week. Being available to respond promptly to your employees is not just to your team’s efficiency but also to keeping virtual workers on a long-term basis; engagement is highest among employees who have daily contact with their manager. However you communicate with your team, make sure all of your discussions are kept organized for you and your team to refer to later. This is also useful when getting new team members up to speed, as all your previous discussion points and outcomes will be available to them. While email is great for quick interactions like delivering briefs and quick updates, text chat programs like Slack is much better for maintaining an active conversation between team members even across timezones. You don’t want your chat room to become a distraction, so it can be a good idea to have a separate chat channel for non-work-related discussion and use separate channels for different projects to insulate team members from irrelevant discussions. Many companies choose to use multiple chat programs to differentiate between high- and low-priority messages, which can help further optimize your communication. Always try to say everything you need to communicate even with brief contacts via text or email. Your team members may be waiting across timezones to query anything that is unclear, so it is much more efficient to try to provide all the information they might need in one message. Video chat and VOIP calls are great for building relationships between your workers as hearing a voice or seeing a face creates a more personal connection. These types of calls are also preferable when discussing potentially sensitive or emotional topics such as work performance. Video chat services with screen sharing functions and remote control such as TeamViewer are especially useful as they allow you to demonstrate new processes and designs directly on your team members’ machines so everybody is on the same page. Particularly when speaking to new team members, remember that meeting new people can be a little overwhelming, and establishing a time constraint for the conversation can ease the pressure on both your new employee and yourself. A video is great not just for communicating directly with your team, but also for creating learning resources for your team. You can explain concepts and company values visually, and record and annotate screen capture video so new team members can see exactly how a process or system works. Skype has the appeal of being simple, accessible and free, however, services like Zoom offer advanced functionality such as video conferencing and multiple screen sharing, which has a big impact on your ability collaborate, able to instantly show changes and new processes to team members in real-time. 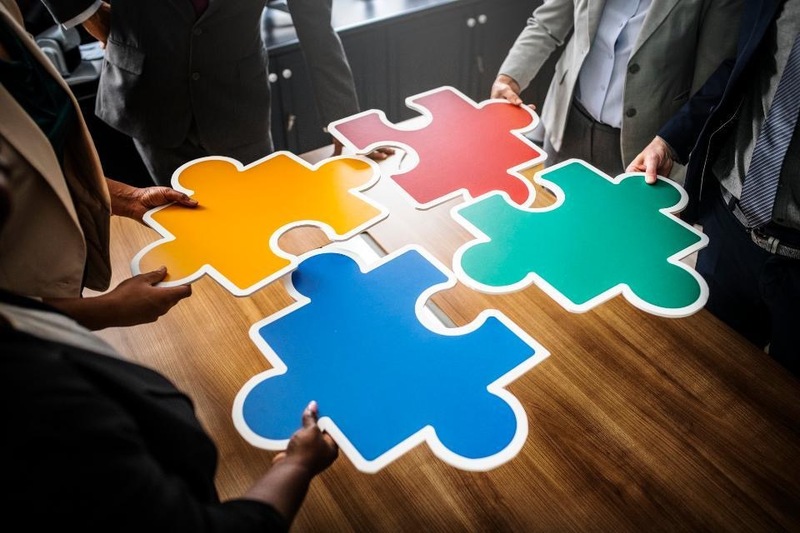 Whatever communication methods you use, you need to make sure they include project management systems to organize documents, files, and conversations for later use. Here is a list of online collaboration tools that you can check out. A final note on using communication tools is that they are there to save you time! If your team spends their whole work day discussing issues and turning every query into a conversation, that is going to have a real impact on productivity. Make sure each communication tool has a specific purpose when it comes to team communication, for example using your VOIP system only for urgent conversations and your text chat system for less pressing matters that can wait. This also has the added bonus of helping your communications stay organized – if all your bug reports and feedback go on one channel, they will be much easier for everyone to review. On top of simply organizing and collaborating to get the work done, a key aspect of your communication in a remote team is building a team spirit so your workers actually feel like they are part of a team. Providing a non-work-related chat helps your team members to make social connections, and remembering special occasions like birthdays helps to recreate that ‘team feeling’ found in a traditional work environment. Non-work-related ‘watercooler’ chats can often feel forced in remote teams where workers have no prior connection with each other, so it can help to create chat channels for topics like books or music for your employees to find common interests. Chat programs like Slack let you post guidelines for interacting in these channels to ensure everyone feels welcome in the conversation. As well as being great tools for team communication, chat and messaging apps are one of the fastest growing areas for marketing and sales, so guidelines on things like manners, punctuation, and spelling help ensure good discipline when your team is interacting with customers as well. Use your team meetings as an opportunity to celebrate any recent successes as this can kill two birds with one stone, keeping everyone up to date on the team’s progress while making sure people feel acknowledged and appreciated for their work, especially team achievements. The simple things like announcing an employee of the month are just as effective in a remote team as they are in a physical office. Starting the day with some praise and recognition for recent work is a boost to anyone’s morale! Remember that even on a video call, your team doesn’t have the same verbal and visual clues like body language and intonation to interpret your tone, so to ensure a happy team make sure you can’t be misunderstood as being terse or angry with your employees when you don’t intend to be. This is especially the case when it comes to email and messaging, and it can be a good idea to over-communicate in order to avoid this, and use emojis to lighten the tone where necessary. 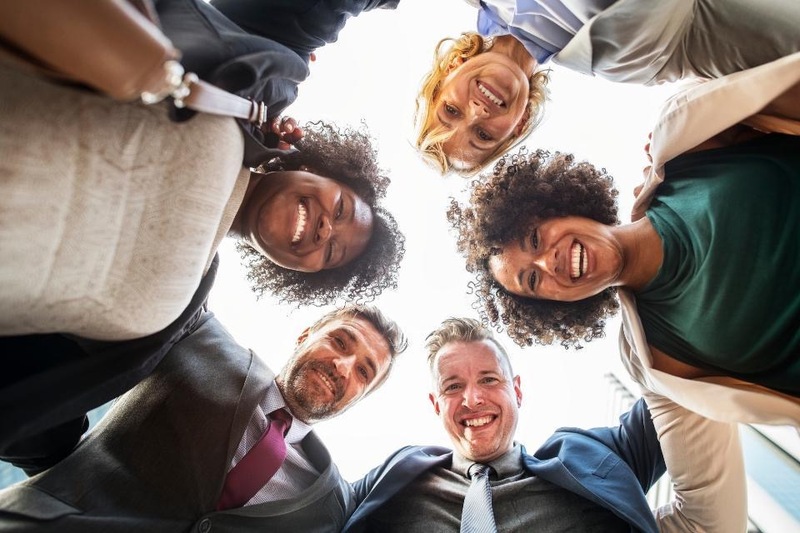 The importance of the way you interact with your team members can’t be understated; Gallup suggests managers account for at least 70% of the variance in employee engagement – so get this right! On an important side note, if your workforce is mixed between team members in a physical office and remote workers make sure your meetings include everyone equally. It can be easy for a remote worker to get cut out of the discussion if everyone is meeting in a physical space and they are connecting via VOIP or video call, so it can be better to have everyone on a conference call instead. To really foster that team spirit, you should plan to meet up in person once or twice a year if possible. This could be at conferences that involve work or simply just-for-fun and team-building activities, no amount of technology can replace these kinds of face-to-face interactions. As well as feeling like part of a team, most employees also want to be able to see how they fit into the bigger picture. Discuss what the future looks like for the company in team meetings as well as upcoming projects and events, and try to get as many people involved in these projects as you can. These rules don’t just apply to meetings – you should use them whenever you speak to your remote workers. Often it is simply a case of simply explaining the context of their task to make someone feel valuable to the company and fulfilled in their role. For example, you might ask a virtual assistant to do some research on industry professionals on LinkedIn. Instead of simply giving the parameters of the task, you could explain that you are thinking about developing a new business branch and need to understand a new industry. Your employee now understands why their work is important, and will usually give better results fully understanding their objective. According to a report by Aon Consulting, working with a remote team can increase productivity by up to 43%. 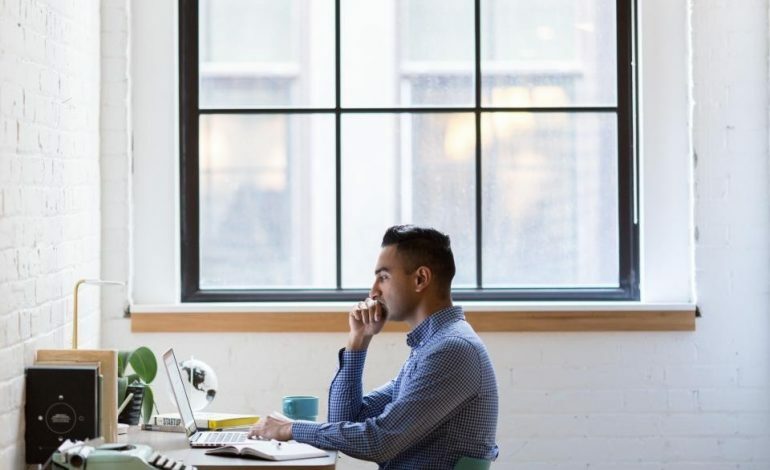 That doesn’t just happen automatically, however, and having systems in place to standardize your team’s way of working, processes and procedures is integral to maintaining a productive remote team. Track team members’ work output with systems like SalesHandy to make sure you know each individual’s hours worked and attendance, it is really hard to identify the source of a productivity problem without this data! There are a huge number of time-tracking apps out there, so do some research on the fit for your company. To help you out, we reviewed 14 of the best tools available. These systems can feel like you are checking up on your employees, but really they help to make your team feel trusted. Many remote workers feel the need to be ‘always available’ and instantly responding any time of day or night or putting in more hours than they should just to prove they’re not slacking off. Remote workers spend 9.5% more time at work and are 13% more productive than regular employees, so this isn’t something you need to worry too much about. This will lead to stress and demotivation, and by tracking output with systems your employees know you can see the work they put in and they don’t have to worry about this. It sounds obvious, but having a having a system in place to organize all your files and documents can massively increase the efficiency of your team. Something as simple as being disciplined about organizing your shared Dropbox could collectively save your team hours each week, that otherwise would be spent trawling through to find what they need. What are you still working on? These questions keep you informed about any problems and boosts productivity by ensuring you are able to deal with them promptly. One of the realities of hiring a remote team is that you will be working with people in different timezones across the world, and if you don’t account for this your workers will have a lot of downtime waiting for updates, feedback, and other communication. Remote workers generally expect flexible work hours, but a certain amount of consistency is necessary to keep everything working efficiently. Ensure members’ scheduled time overlaps so that everyone is able to communicate and collaborate with other team members. 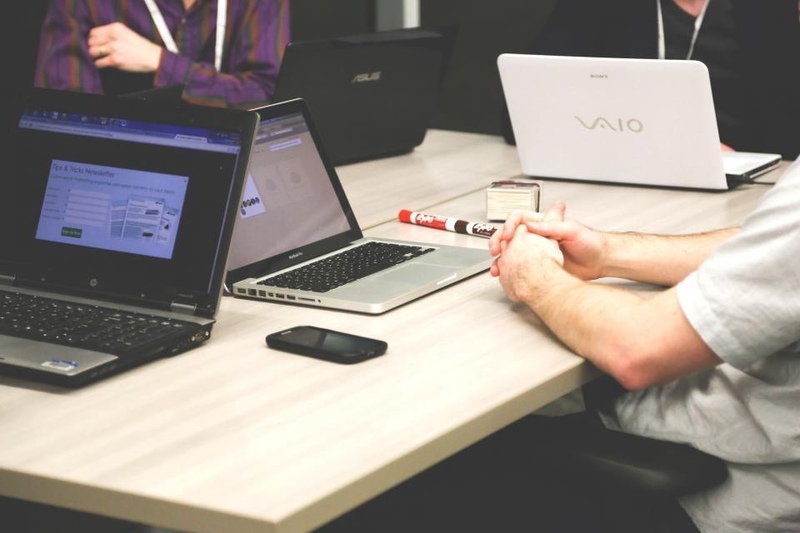 Every member of the team should be working at the same time at least once a week, and ideally once a day, in order to have meetings and prevent hold-ups. If team members can’t contact each other at the right time this will slow down group work and discourage collaboration. If you are working in a small team it is usually a good idea to have all your workers in roughly the same geographic location so that timezones don’t slow you down. Think about the time differences before hiring someone. A difference of a few hours isn’t a problem as you can make sure there will be some overlap with the rest of the team, but a team member on the other side of the globe could end up working in isolation from the rest of the group. On larger teams this is less of an issue; just make sure everyone on the team has overlapping work hours with the people they need to collaborate with. A quarterly review to check how everyone is coping with their workload will highlight any other issues that could affect productivity. The first step to managing an effective remote team is hiring the right people to work with. It’s hard to judge if someone is suitable for your company from their application alone, and one of the advantages of hiring virtual team members is that you can try people out before giving them long-term work. Give new team members a short-term project to complete to see what they can do and how they work, but remember that if you want long-term work and undivided attention from a virtual worker, you should aim to take them on full-time once they have proven themselves. Many professionals are happy to take a pay cut in order to work freelance or from home, but if you want long-term commitment and motivation from your team pay your team well, and bear in mind freelancers with low rates may not be of the highest quality. Before taking someone on full-time, it pays to make sure their environment and personal circumstances are compatible with working from home long-term. This includes checking they are working in a suitable physical environment that is free from distractions, such as a home office, but also that your team will be happy and productive working from home. Someone who lives alone and works from home could begin to feel isolated, isolation and distraction can both be major issues that cause productivity to drop off. Another core component of ensuring new team members become productive employees is having a standard onboarding process to teach them about your company and the way you work. According to The Wynhurst Group, 22% of new employee turnover occurs in the first 45 days of hiring. New employees can’t learn by watching other people as they would in a normal office environment, so training resources such as videos should be available to show them your company values and the key processes to perform their role. Most physical offices create internal wikis for their employees to refer to, and these work even better in a remote team where it isn’t as easy for team members to simply ask a colleague. Wiki builders such as Confluence let you put all of your standards, procedures, and how-tos in one easily updated location. If new members of the team always have to ask you certain questions or check certain procedures with you, save time for both you and your employees by creating a wiki page for that process. 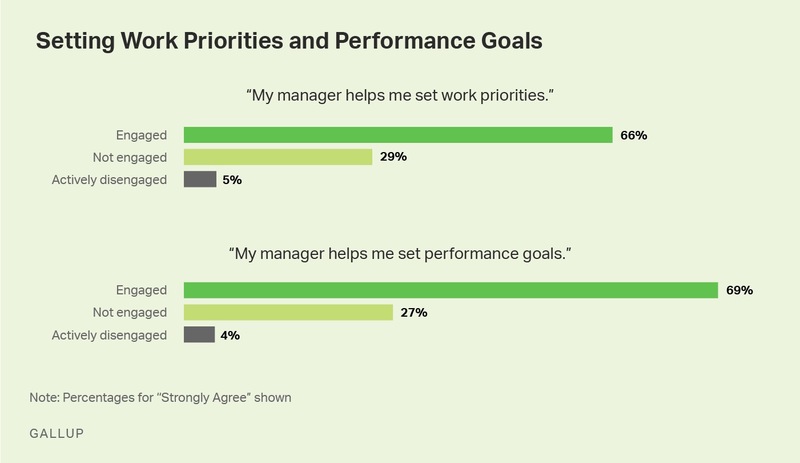 Whatever someone’s level of experience, a significant majority of remote workers feel more engaged when their managers help them set priorities and performance goals. Not only does doing this let you further optimize the team to your company’s needs, but also has a big impact on employee morale. People are much more likely to feel involved and that their contribution matters to the project if they can see their manager putting in the time to help them prioritize and improve. Now that you know how to manage a great remote team, it’s time to start reaping all the benefits of hiring virtual workers. 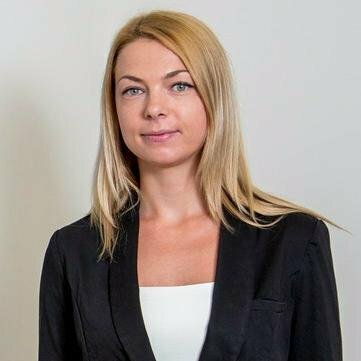 Alexa Lemzy is the customer support expert and blog editor at business texting software provider TextMagic. She is passionate about mobile marketing, customer loyalty building and local business growth. You can connect with Alexa on Twitter!